Sometimes you’ll see a sight so incredible, you’ll remember it for the rest of your days. Don’t let the sun set on Montana’s Economic Development. 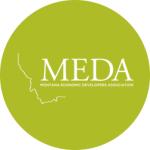 Support HB52 which would allow eight key economic development tools to continue to serve the communities and businesses of Montana. The Montana river runs through all of our lives. We have launched our new Innovate Montana website focused on starting, growing, or relocating your business, and connecting you with resources and mentors within our statewide community. The state has more entrepreneurs per capita than any other state and a business survival rate (businesses that survive their first five years) that ranks in the top 10. The purpose of these awards is to recognize individuals of all ages and backgrounds who, through their dedication and commitment to community service, have greatly enhanced civic life in Montana. The success of every Montana business can be traced back to the exceptionally talented, creative and loyal workforce you will find in every corner of the state.